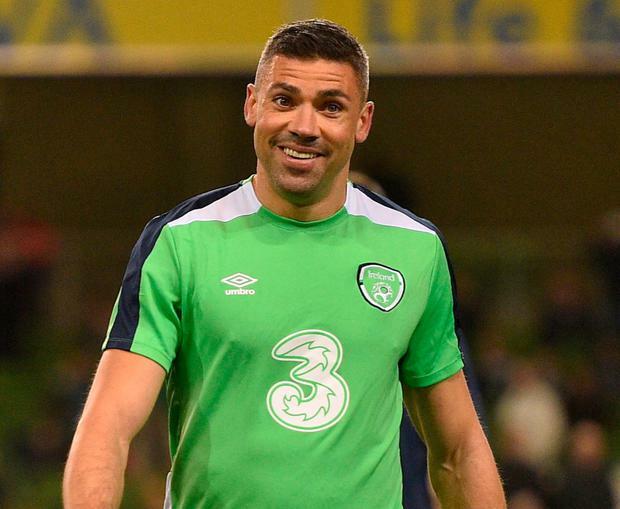 Jonathan Walters says that missing out on playing for Ireland is the hardest thing about his enforced retirement from football. The 35-year-old has hung up his boots due to an Achilles problem and admitted that the international game is the thing that he will miss the most. "On a personal point of view, it meant everything to me," he said. "That's the most difficult thing I will find, going through any photos and videos. "I can park club football to the side, believe it or not, but the Irish side of it is one thing I will miss massively. I get a lot of stick because I have an English accent and was born in England but my mum (Helen) was from Dublin, from Ballybough. "Every time we weren't in school, we were over in Ireland. It was something that I wanted from a very young age." Mick McCarthy and Seamus Coleman led the tributes to Walters (pictured) after the Burnley forward said he was calling it a day. "He was an inspirational player for Ireland," said McCarthy. "It's sad when you lose those players." Walters last night revealed that the atmosphere in the Ireland camp changed last year after Roy Keane’s infamous training-ground row with Harry Arter. Following the incident, a WhatsApp audio message emerged of Stephen Ward describing what happened and, speaking on Virgin Media One last night, Walters said Ward’s version was “mild”. “The atmosphere changed, results don’t help, we had a year of not winning but the atmosphere was definitely different from when I first met up. “It’s quite a hard thing to say when you used to absolutely love meeting up, always look forward to it. “You used to love coming to meet everyone and being involved and being able to play for Ireland, it’s an unbelievable feeling.